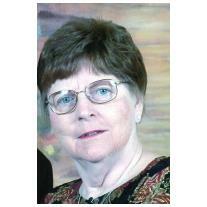 It is with great sadness that the family of Mary Theresa Donohue (O’Shaughnessy) announces her passing. After a long battle with cancer Mary went home to our Lord at the age of 84 on Monday June 4 2018. Mary was born on March 2, 1934 to Patrick J. O’Shaughnessy and Nora McCormack in the Bronx NY. Mary is survived by her loving husband John Joseph Donohue Jr of 60 years and their children Patricia, John (Linda), Thomas (Elizabeth) and Michael (Heidi) and 8 grandchildren Brianna, Caitlin (Matt), Ryan, Patrick, Maggie, Jack, Will and Kate. Mary is survived by her brother Frank O’Shaughnessy and predeceased by her brothers John, George and Michael O’Shaughnessy. Mary’s deeply rooted Irish heritage was always the source of memorable family gatherings with wonderful home cooked meals and cheer. Mary graduated from Saint Simon Stock Elementary School and St Thomas Aquinas High School in the Bronx NY and later was employed by AT & T. She also enjoyed a long career at Bank of America as an Office Assistant. Mary enjoyed summers at the beach on LBI with family and friends, she served as a volunteer at Villa Marie Claire and was an active member of the Luken’s and the Ho-Ho-Kus Seniors. Her hobbies included sewing, knitting and bowling. Visitation will be Thursday, June 7, 2018 from 2-4pm and 7-9pm at Feeney Funeral Home 232 Franklin Avenue Ridgewood NJ 07450. In lieu of flowers, please send donations to St. Luke’s RC Church (http://www.churchofstluke.org/) or The Leukemia & Lymphoma Society (https://donate.lls.org/lls/donate). A funeral mass will be held on Friday, June 8, 2018 at 10am at Saint Luke’s Church 340 Franklin Turnpike, Ho Ho Kus NJ 07423. Mary will be laid to rest at the Saint Luke’s Cemetery 232 Franklin Turnpike, Ho-Ho-Kus NJ 07423.